W.H. 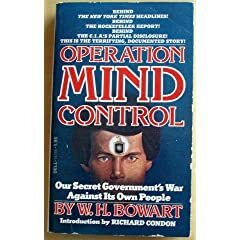 Bowart wrote two editions of the book "Operation Mind Control" - one in 1978, and the other in 1994. However the 2nd edition was purchased off the pallet by the US government before it ever hit the bookstores. There was someting in the book that was desperately wanted to be kept out of the public light. Event the first edition is extremely rare. If anyone is a good investigator / researcher what is the ISDN number of the second edition and a few (maybe 10 or less its not known) are in existence. Can anyone source location of the second edition? Re: Do You Think Your a Good Researcher? Try and Find This! I'm assuming ISDN is a typo for the ISBN or the LOC #, right? ISBN # isn't likely considering it was written a while back ; however, LOC isn't likely either, considering it's a rare edition with goodies in it. So, i would try calling around with people you know who work in bookstores (particularly rare bookstores) or even college campuses (you never know). I doubt public libraries would make it available if its' been flagged for pull. TUNED IN TO A MENTAL RADIO? Every Senator and Congressional representative has a "wavie"
intracerebral voices and other sounds, and physiological effects. country. I've spoken to a number of wavies myself. input whose source is external to the individual. Thought Foundation ($100), at POB 35072, Tucson, Az. 85740-5072. THINKING newsletter and lifetime discounts on other products. 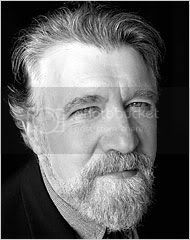 On Halloween, 1979, at the Jerome Bar in Aspen, Colorado, I met a man who was a master at "Remote Viewing". (His name is withheld by his request.) When he asked about my life I told him about my adventures promoting this book on a world tour. Most people, in those days, responded to my information about mind control with either disbelief or horror. He was most matter of fact and his response surprised me. "A friend dared me to remote view the inside of the supposed NORAD site within, I think it's called Cheyenne Mountain outside Colorado Springs, I've never been there in my body. Now, what I do is something like what has been called 'astral projection' or 'out of body travel'," he explained. "It's apparently different from what Price or Swan did in that government supported remote viewing experiment at Stanford Research Institute. "Well, I went out of my body and suddenly I was inside the NORAD tunnel inside the mountain. A bell went off and I was frozen, trapped by some ray. All I thought was 'I'm dead! I'll never get back to my body!' I was aware of a lot of activity. Warning lights blinking, sirens blaring, security guards running around with weapons cocked. "Then this one security chief comes up to me and aims some kind of device at me up where I'm trapped, near the ceiling of this tunnel. He reads the feedback and says, 'Okay. You can let him go. It's just another one of those sleepwalkers.' And suddenly I was back inside my body. "After that I thought about what I'd seen in one room off this tunnel. I'd seen large half orbs stacked on top of each other like diminishing sized bicycle bells. And I realized that these were being used in an experiment which was designed to influence a local election somewhere in Florida. Later I saw a picture of a Tesla generator and it looked just like those stacked up bells. "I think our secret government has some real Buck Rogers technologies to control us," he said. "I'd like to help you research your second book." I thought it would be clever to put a number of remote-viewers to work for the Bill of Rights for a change and against the cryptocracy. (Of course I'd still have to do all the follow-up research to prove what they saw.) So, I called Ingo Swan, the famous remote viewer who had participated in the SRI project. I asked him to repeat the view inside the mountain. I could hear the tremble in his voice when Ingo said, "They're not all bad. The CIA people are not all bad people." "Bowart, W. H. (1978). Operation Mind Control: Our Secret Governments's War Against Its Own People. New York: Dell. ISBN 0-440-16755-8. 150 Dollars! WTF! that has to be a redacted form of the original. two versions of the 1994 version are out there too. Best info-researchers on the planet right here at forum.prisonplanet.com! Btw, was there any mention of the stargate inside Cheyenne Mountain? yes, the electronic reading machine using electromagnetic everything. Does anyone still wonder why? The Temple of Set was established in 1975 by Lt. Colonel of the US Army Michael Aquino and certain members of the priesthood of the Church of Satan, who left because of administrative and philosophical disagreements with its founder, and, as Aquino said, because he was disgusted at the corruption within the Church of Satan. The Temple of Set was incorporated in California that same year as a nonprofit church. While Aquino remains an active member of the Temple of Set, he no longer holds any office within the organization. The office of High Priest is currently held by Magistra Patricia Hardy, who succeeded Aquino in 2004. These are the people entrusted to win "hearts and minds" during wars (legal or illegal). They win hearts and minds by blowing them up. A Judeo-Christian/ Muslim Holy War, that is what's happening. Yes, I can attest to that, I came from that school before I woke up. After 9/11 I found a translated copy of the Quran and read it and I also scoured the internets for Muslim extremists, including their message boards, anything to feed that state of mind. Looking back it's down right scary because I know what kind of grip these pysops have on people. I met Walter Bowart at a mind control conference in 1997.If I remember correctly it was his first version of Operation Mind Control that was bought up by the CIA in 1978.The reason being was because at the time there was next to nothing available about the shadow government and mind control and they wanted to keep it that way. Bowart knew alot.I`m surprised Alex never interviewed him. Walter Bowart, a founder and the first publisher of The East Village Other, a New York newspaper so countercultural that it made The Village Voice look like a church circular, died on Dec. 18 in Inchelium, Wash. He was 68 and lived in Los Angeles. The cause was cancer, his son Wolfe said. Published twice a month from 1965 to 1972, The East Village Other was among the countryâ€™s first major underground newspapers. Founded by Mr. Bowart and three colleagues â€” John Wilcock, Sherry Needham and Allan Katzman â€” the paper had, at its height, a circulation of 60,000. 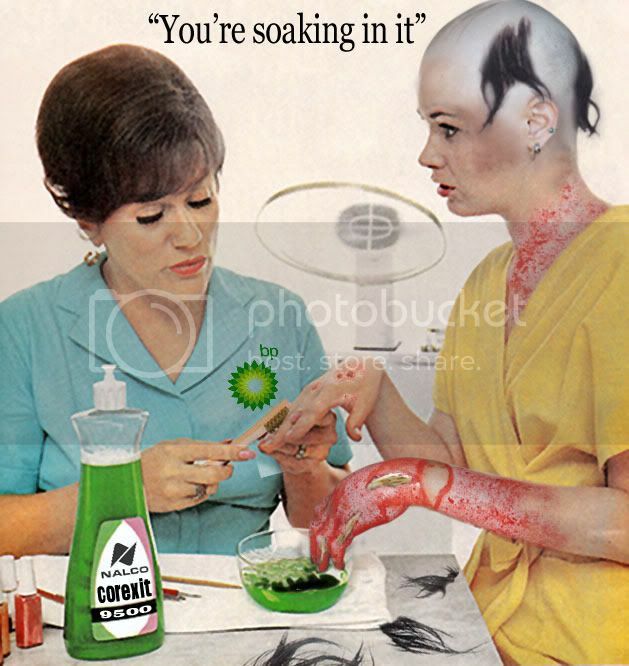 Mr. Bowart, who left the paper in 1968, was later best known for his book â€œOperation Mind Controlâ€� (Dell, 1978), which argued that the United States government conducted covert psychological experiments on unwitting people. For seven heady years, The East Village Other waxed lyrical on the countercultureâ€™s movers and shakers, among them Allen Ginsberg, Timothy Leary and Abbie Hoffman. 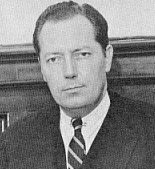 As publisher, Mr. Bowart (pronounced BO-art) came to national attention in 1966 after he recommended, in testimony before the Senate Subcommittee on Juvenile Delinquency, that the committee members try LSD. Mr. Bowartâ€™s four marriages, to Linda Dugmore, Peggy Mellon Hitchcock, Margo Jordan and Rebecca Fullerton, ended in divorce. Besides Wolfe, his son from his first marriage, who lives in Perth, Australia, Mr. Bowart is survived by two daughters from his second marriage, Sophia Bowart of San Francisco and Nuria Bowart of Berkeley, Calif.; a son from his fourth marriage, Wythe, of San Francisco; three sisters, Janet Ryan of Inchelium, Nancy Maloney of Grover Beach, Calif., and Kathy Hollis of Hamilton, Mont. ; and two grandchildren. Ned Potter interview with Walter Bowart, author of OPERATION MIND CONTROl, perhaps the best and most well know book on mind control techniques and government MK-ULTRA program. In this in-studio talk, the author discusses what he calls â€œthe sunset of free thinking in a Psycho-civilized Societyâ€�. Subjects include the history of mind control, DID and memory loss, neuro linguistics, mental suggestion, hypnosis and electronic disruption, and what Bowart calls â€œThe Cryptocracyâ€�. Thanks for the links every one is for the first edition as far as I can ascertain. I am looking for the second edition. That is some hairy a*s sh*t! I had done a study into Remote Viewing and the US government was HEAVILY researching it under the Stargate Project. It is very REAL. Once this people are trained up they can literally leave their body on will and go where they want. I had no idea that this was inside the second edition - no wonder they wanted it completely sealed. there are two isbn numbers, online is hard to find but a local book store can dig it out. screw barnes n nobles. That link is broken? Are you implying that the second edition is already input into an electronic form? Here is the web archive of the link, not sure if you can find what you are looking for. On August 19, 1975, an article I wrote was published in Modern People as part of a 26-part series, and soon became a ticking time bomb that would be translated into more than seven languages and would be quoted in several books on mind control, including the classic Operation Mind Control by Walter Bowart, founder of The East Village Other, a radical underground newspaper. The story of Operation Mind Control and how it was immediately suppressed, bought up and destroyed by the CIA is an astounding story of its own. It disappeared from libraries, book stores and even the publisher's (Dell Publishing) warehouses. Bowart went into seclusion not too long after and would not discuss it. Had he been threatened, shut up? The world would never know. Bowart called me 1975 or 1976 and I spoke with him at some length, then forgot the matter and went on with other things in my life until, in 1978 I saw the book in a Nashville bookstore and promptly snatched it up - not because I was interviewed for it, but because it was a topic I was intensely interested in for my own research. In fact, it didn't even dawn on me that this was the book until I was skimming through it on the way back to the car and ran across my own name in the index. Today that $1.95 paperback sells for hundreds of dollars on eBay - IF you can even find a copy. In 1967 a writer (a major network anchor believed to be either Walter Cronkite or Chet Huntley) wrote a strange book called Were We Controlled? (New York University Books) under the pen-name of Lincoln Lawrence. That book, too, has become extremely rare. It was the first published reference to something called RHIC-EDOM (Radio Hypnotic Intra-Cerebral Control - Electronic Dissolution of Memory). It told the strange story of a major fraud in the futures market that was timed to make its perpetrators hundreds of millions of dollars because of its timing to their advance knowledge of the assassination of John Kennedy in 1963. It was very similar to the millions made in short-selling by knowledgeable insiders in the few days prior to the World Trade Center destruction of Sept. 11, 2001. More intriguing, it claimed that Oswald was a "Manchurian Candidate," a double-agent sent by the CIA to the Soviet Union as a "defector" and then turned into a mind-controlled Soviet agent through a surgical procedure. Lawrence claimed, though, that the "sleeper agent" Oswald was not created by the Soviet military but by an international cartel of commodities merchants who made millions when the U.S. stock market crashed upon Kennedy's murder. Like the fictional "Manchurian Candidate", Oswald "can be used years later with no realization that [he] is even being controlled! The EDOM process erases the memory or, in some cases, will delay the "sleeper's' perception of time so that events appear to have happened either long before or after they actually happened. I knew that the process was a bit complicated for the average person to understand, so I sought to simplify it after I ran across the same references to RHIC-EDOM in a 350-page CIA report I had been given a look at it (I was not allowed to make copies but did take notes). I myself have been programmed, with my consent, to protect the identity of my source and if subjected to hypnosis or currently available techniques, will claim that I made the whole thing up, despite verified CIA documents (below) that support the story. Even now, 30 years later, I have come under strong pressure to reveal the sources and have been called "a fraud" for not doing so. Tough! I listened to that interview that was posted. It was really good. He talks about erasing memory from soldiers. Imagine if they could erase our memories we'd be back to square one not knowing what is going on. Scary stuff. How about erasing your memory and then playing back what you once knew like a tape recorder.All done with ELF (extremely low frequency) microwaves and computers. It gives you a huge sensation of deju vu. Or maybe tranferring one person`s experience into another person. If they did those things to someone what chance would that person have convincing people it actually happened? The answer is that you can`t tell anyone because they will think you`re nuts. and increased incidence of major health issues which led to terminal results. I need to read this book. to render these types of weapons weak. I'll bet theres a copy of the second edition book, if not the manuscript out there somewhere. I found this video copy of Ned Potter interviewing Walter Bowart, but does anyone know where I might find an 'unbroken' mp3 audio version of the entire interview? I have been unable to locate it. To summarize, no one has as of yet located the 2nd Edition of "Operation Mind Control" (1994 Flatlands edition). Although many sites/people say that their version is the new one, it is the older, 1978 edition. Even the above Chapter 4, put on the Internet various places, is from the older edition. From my searches, I don't think the 1994 edition is anywhere on the Internet. I'm bookmarking this thread. I, too have recently been made aware of this book and was looking for it as well. I'd probably be satisfied with the 1978 version personally. If I do come across info on how to locate a 1994 copy, I'll post it here. It's odd that the 1994 version doesn't have an ISBN when the 1978 ed. was issued one. It was probably put out by a very small press. If you can locate Books-in-Print for 1994, you might find publisher info. I found nothing for Flatland Editions on the web. Has anyone verified that the FREEDOM OF THOUGHT FOUNDATION is even functioning anymore? I'm not about to mail them a check for $100, not knowing. Any reference I've seen to their activities is from the mid-90's. One piece of advice is: put in an "order it used" request on Amazon, if you haven't already done so. If you do get a copy, by all means scan the cover in and upload it to Amazon, then post a review, with the table of contents copied, etc... the more info you can put up to document the existence of the book, the better. There are so many books I'd like to reprint, but I worry about copyright infringement. Tracking down the author, copyright owner can be very difficult. For general purposes I'd like to find a website that archives publisher info, so many disappear. I have in my possession a copy of the 1994 Flatlander's Research edition of "Operation Mindcontrol" that I got for $60 by pre-ordering on Amazon. There is no ISBN listed. It's a cheaply produced photocopy, with an open spine plastic binder. It has 686 numbered pages not including supplementary back matter with a bibliography and index consisting of approximately 120 pages. I don't know if this is a reprint of a reprint. There is an orderform in the back for the Freedom of Thought Foundation of Tuscon AZ of which Bowart was listed as a board member. I'll post additional information as I have it ready. Questions welcome. Interesting career path ... from hippie mag to mind control to luxury lifestyles. Well, I guess burrowing into government crimes against humanity gets old after awhile. That, and it wasn't paying the bills. Here is the chapter outline of the book. I hope someone comes up with the whole thing in the near future. The whole second edition - massively expanded, new chapters, the works - is now available and linked on the page below.